This has to be one of my favourite sad window displays. 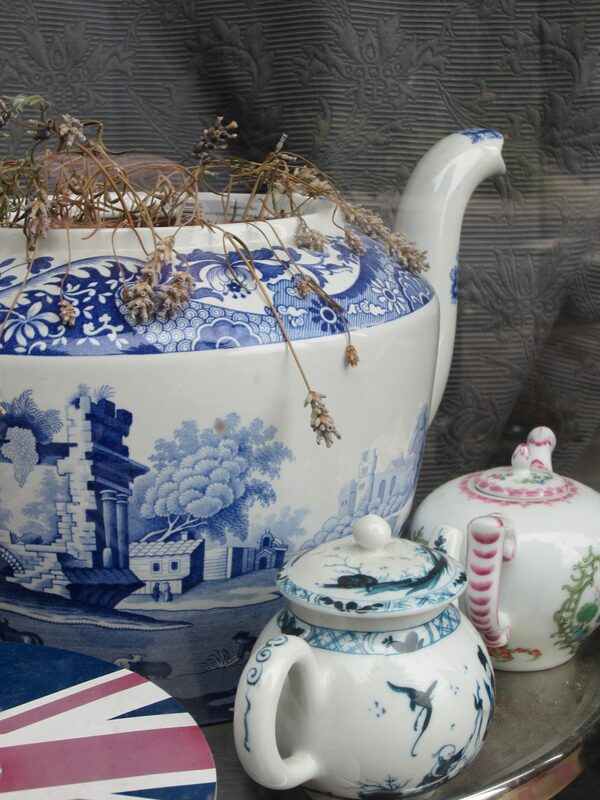 Spotted in an abandoned florist in Greenwich, it’s obvious that the teapots were a foil for the flowers. But now they are the main attraction with a selection of desiccated foliage poking out and scattered around. I hope someone eventually came back for the teapots. Previous Previous: Robots AND Recyling!! For commissions and general enquiries.